This book is a remarkable look at one of the most dramatic, creative, and revolutionary settings in American popular culture: the Los Angeles popular music scene from the late 1960s to the late 1970s. Drawing on extraordinarily candid firsthand interviews Barney Hoskyns has conducted over more than three decades, Hotel California takes you on an intimate tourâ€”from the Sunset Strip to Laurel Canyonâ€”of the creative and personal lives of the legendary songwriters, superstars, and producers who made the music that everyone listened to. You'll read things you've never read before about such fascinating, complex people as Joni Mitchell, Neil Young, Jackson Browne, Glenn Frey, Mama Cass Elliot, James Taylor, Linda Ronstadt, David Geffen, and many others. 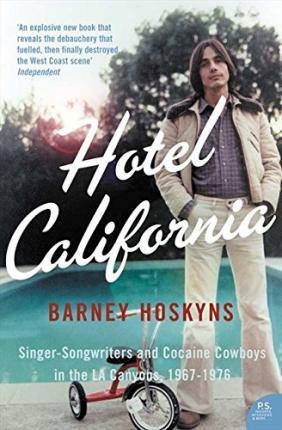 Packed with riveting anecdotes and sharp musical insights, Hotel California captures the amazing results of brilliant creative collaboration and the dark side of fame,wealth, and unbridled ambition. It is a story of rise and fall like none other, and you won't be able to put it down.